Although Amazon was first to propose drone delivery tests, Alibaba, China’s biggest retailer, beat the company to the punch. Tech in Asia reports the trial will last three days, limited to specific areas within a one-hour radius from its distribution centers. 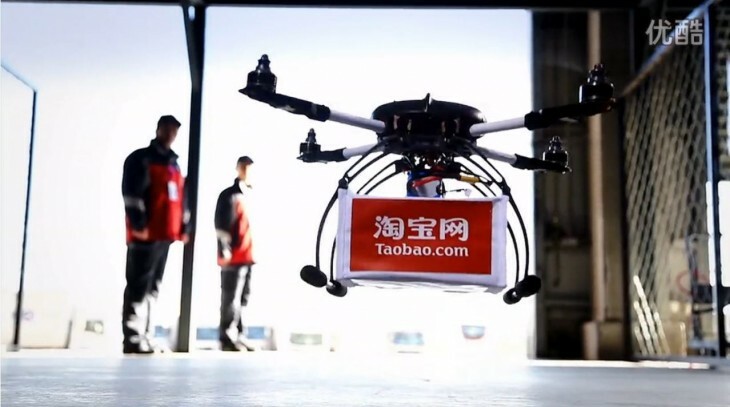 The deliveries are being run by Alibaba’s Taobao division, and involve about 450 customers. To limit the weight of packages, the company is delivering 340g (12oz) boxes of ginger tea. You can check out Alibaba’s promo video for the deliveries here. Of course, a full scale roll out is a different matter entirely. Hopefully, Chinese people in the delivery zones will be more receptive to the drones than some in the UK.